For our most recent trip, we wanted to go somewhere that was only a direct flight from Melbourne but further afield than Asia. The perfect answer? California! I have been to California many times before. For Australians, it is the gateway to all of North America. However, I have never spent much time here. It’s always been a few nights on our way to or from somewhere else. This time was different. We spent two weeks exploring Southern California and had a fabulous time. 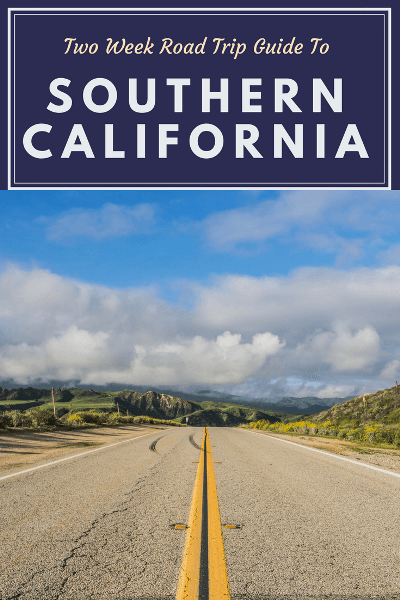 There are a ton of places to visit in Southern California and it is hard to plan a two week trip because it simply isn’t long enough. 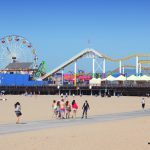 We were very happy with our itinerary though and I think it’s a great starting point to planning your own list of things to do in Southern California. Flying from Australia to LA always makes for one of the longest days you can have. We left home about 5am and it took 30 hours to get to LA in the end but it was still only the afternoon in LA! Despite one of the reasons we picked LA being because there is a direct flight, things did not go to plan. We ended up flying via Sydney and Auckland and it turned into a much long journey than it should have been. We were originally meant to fly United but they had mechanical problems which were going to cause severe delays and possibly a cancellation. We took the option to fly Air New Zealand instead even though it meant going via Auckland. Apart from some issues with not initially getting seated together, we found Air New Zealand very good. Their flight attendants were fabulous and managed to move around a whole lot of people so we not only sat together, but we also had a bassinet. We didn’t get to use a skycouch. Since we hadn’t booked with them we didn’t get the option. They did look good, however, and I would definitely consider paying for one if we did this route again. I think they would be fabulous for younger kids. LA airport was very easy. Our baby meant we were able to go to the front of every line. Car hire was another story. Picking up our car at Hertz was incredibly painful and a very long wait. We were handed an infant car seat with no idea how to put it in then had to wait even longer for assistance. I was surprised how huge the lots are at LA airport. I have never experienced a car hire situation like it. We had expected to arrive in LA at 6am so we had planned to visit Zimmer’s Childrens Museum and spend time with Josh’s aunt who lives in LA. Instead, we only ended up having a short visit with his aunt before checking in, having dinner and finally going to sleep! S only slept for about an hour on the flight, me even less and the other kids not much more. They were all very good and it was all fine apart from stress about actually getting checked in and on a flight. You can read Los Angeles accommodation recommendations here and here. The day started dramatically when we put some bad scratches on our rental car (thankfully all covered by insurance), but quickly improved. 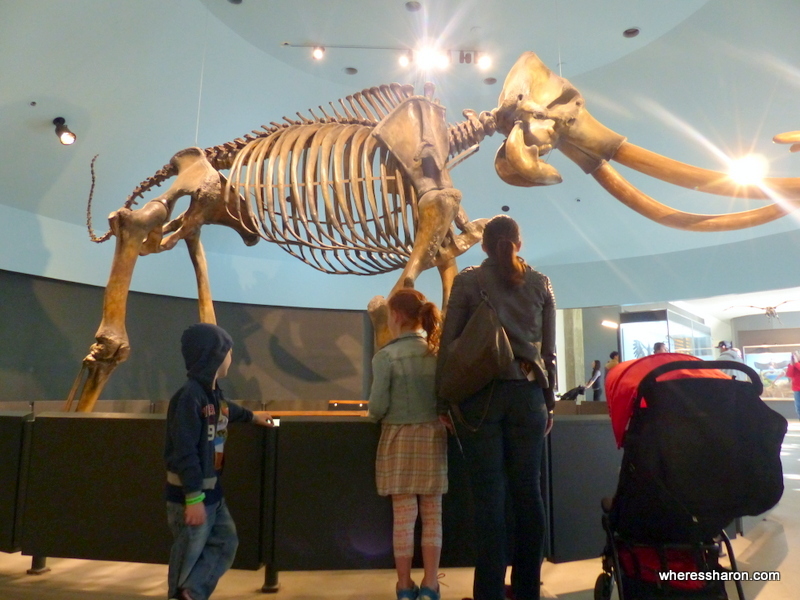 We had a fun day visiting two museums in Los Angeles – California Science Center and the Natural History Museum. 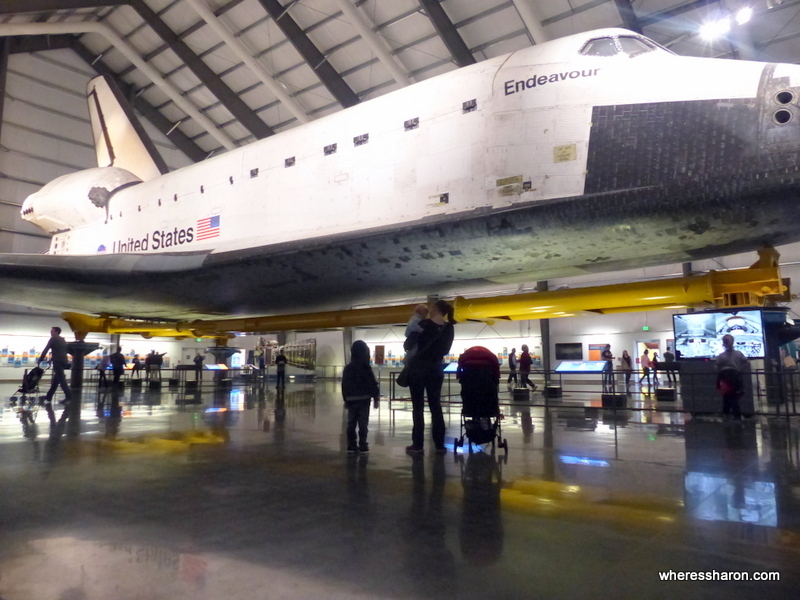 The California Science Center is especially a stand out for us as we were able to see the Space Shuttle Endeavour as well asother space related exhibits. It’s fantastic! We started the day at the Walk of Fame in Hollywood before visiting La Brea Tar Pits. This is a great place to learn more about fossils and we all found it more enjoyable than we expected. Our final stop was Santa Monica Pier for some rides and fun. We then drove down to Long Beach which took about an hour and a half. We checked into the Holiday Inn Long Beach Downtown which is in a good spot and they would allow us to leave our car there for free while we were on our cruise. Read more information about things to do in LA here. We visited the Battleship IOWA in the morning. You can explore much of this ship and get a taste of what life is like in the navy. We then checked into our cruise on the Carnival Imagination about 1pm. We were excited to be cruising again on this 4 night cruise. 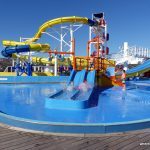 Read all about the Carnival Imagination here. We spent the day on Catalina Island as part of our cruise. 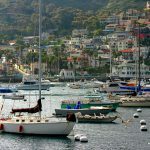 You can also visit Catalina Island overnight or on a day trip with many ferries from Southern California. 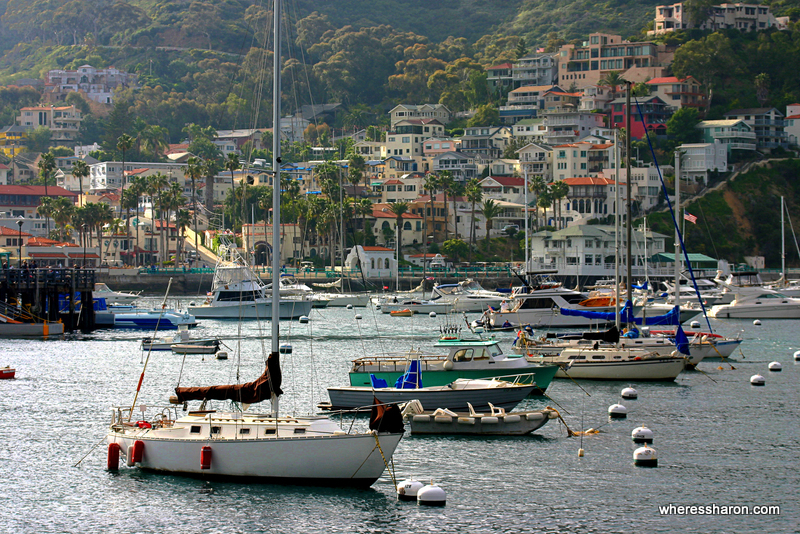 Read more about Catalina Island here. We spent the day in Mexico as part of our cruise. 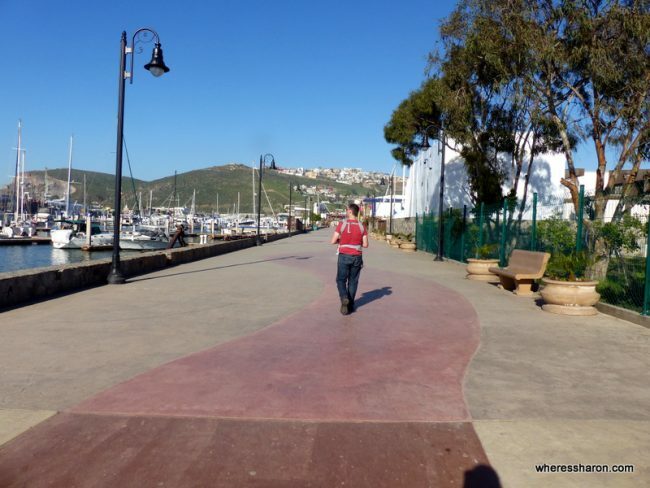 You can also reach Ensenada easily from San Diego. Read more about Ensenada here. We had a full day on the Carnival Imagination. Lots of fun! We arrived back at Long Beach on our cruise and needed to get to San Diego. The perfect way to break up the journey? 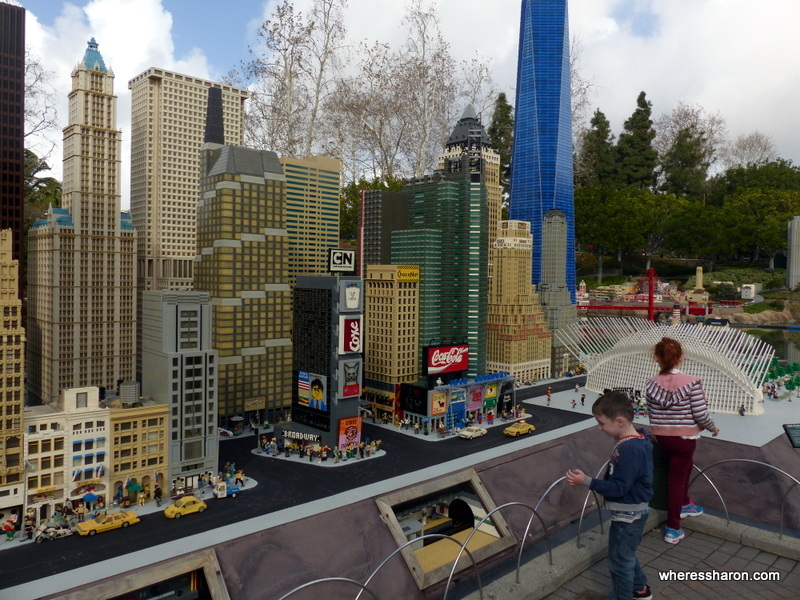 Legoland in Carlsbad. We had a fun day here before driving on to San Diego. All up, it was about three hours driving. It rained a lot while we were in San Diego. It was their wettest week in a long time! This impacted our plans somewhat but we still managed to do everything we planned to. Our first day was spent at Balboa Park. There are so many great things to do in Southern California for kids here. We visited the San Diego Natural History Museum, San Diego Model Railroad Museum and the San Diego Museum of Man. We had also planned to visit the Fleet Science Center but we were so wet and cold that we ended up skipping this. 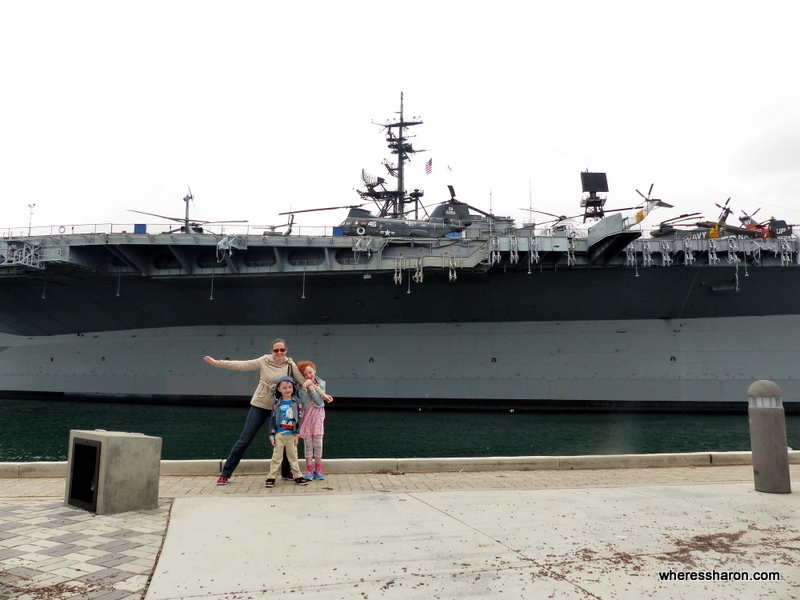 Today, we visited the USS Midway Museum. I went shopping in the afternoon. We spent the entire day at the New Children’s Museum. It is fantastic and the kids loved it. Today was all about Seaworld San Diego. We had a fun day there and thankfully it only rained in the morning. 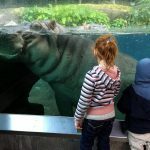 It was so amazing to get this close to a hippo! We visited San Diego Zoo before driving up to Anaheim. 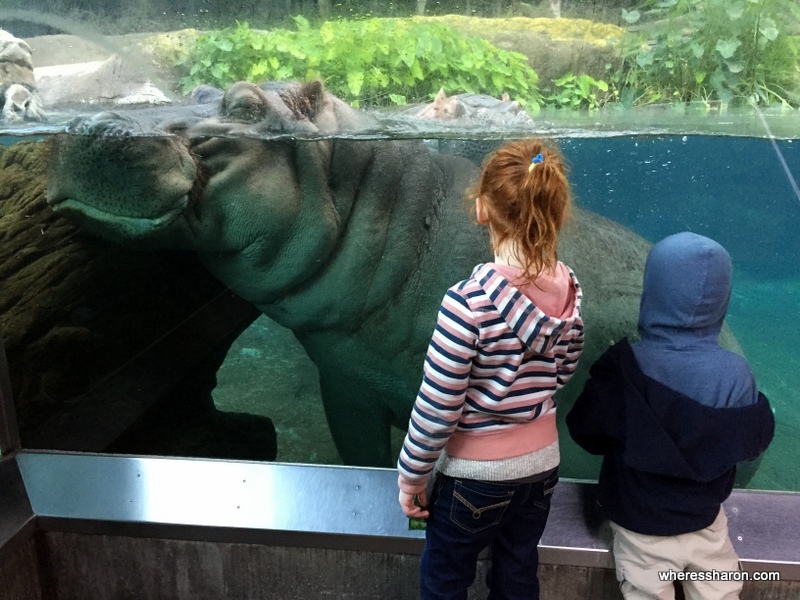 You can read all about the best things to do in San Diego with kids here. We recommend a GO card for San Diego. We used it to save a ton of money visiting all the attractions in San Diego as well as Legoland and Knotts Berry Farm. We had a super fun day at Knott’s Berry Farm. You can read more about it here. You see from the kids’ faces how much they loved Knotts Berry Farm! Our final day felt like a long one as we weren’t flying out until 10:30pm. We managed to get a late checkout at our hotel in Anaheim, the Best Western Plus Raffles Inn and Suites. We took it easy until then. We drove back to LA and spent the rest of the day at a shopping center near the airport. Our flight home wasn’t nearly as dramatic as the flight to LA thankfully. It was just one (albeit very long) flight. The only issue was United changed the seating at the last minute so we weren’t together!! It was crazy difficult getting this changed and we ended up being one of the last people to board waiting for new seats. I am never going to understand why airlines split up families (especially ones with young kids) and then make it such a last minute hustle to change it. Otherwise, the flight was quite painless despite taking over 15 hours and we were home before we knew it! 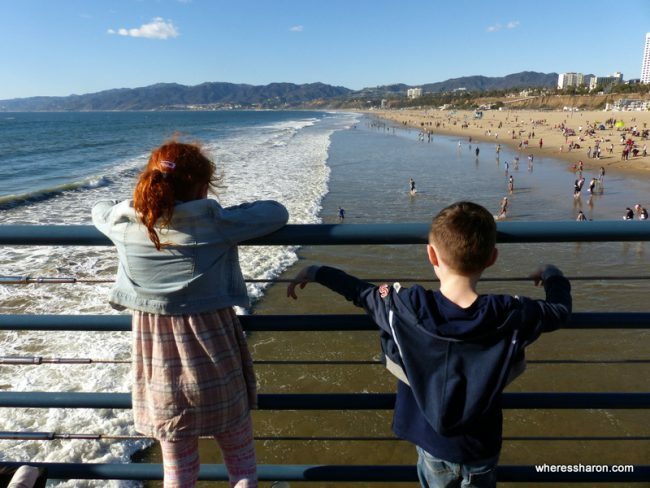 There are so many places to visit in Southern California with kids. It really makes for an ideal destination for a family vacation. We didn’t visit the most obvious attraction – Disneyland! 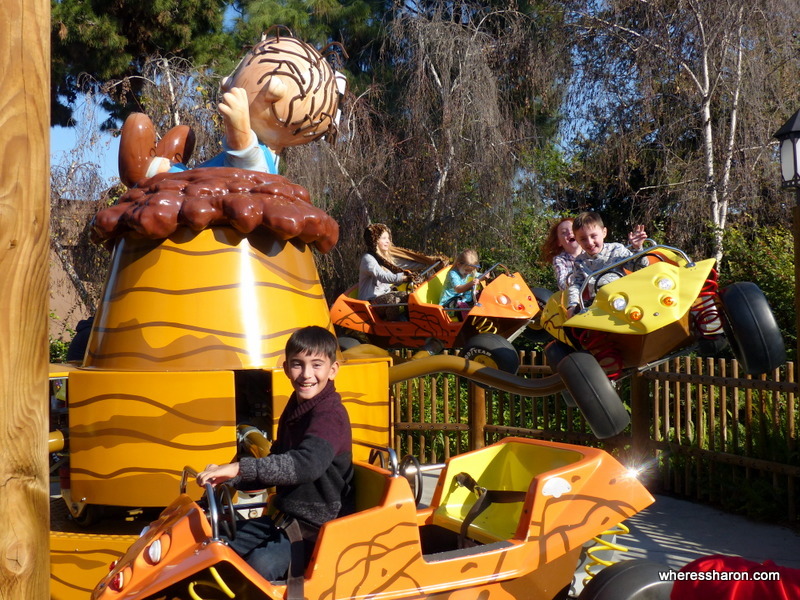 – but we didn’t need to with so many other fun things to do with kids in Southern California. 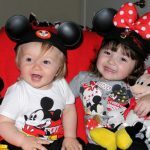 We have already been to Disney World and Disneyland Paris and plan to go to Disneyland Hong Kong very soon so we preferred to spend the time doing other things. We travelled with our the kids aged 7 months old, 4 and 6. Everything on our itinerary above worked very well for the kids and for us. They loved Southern California. If you aren’t driving to Southern California (and thus have your own car) then you are going to need to hire a car. A lot of this could be done without one but it’s going to be a hassle and not necessarily save you money. Car hire is cheap. If you are visiting Southern California with kids then it’s definitely going to save you money to hire a car. When we were on the cruise, we were able to leave our car at the hotel. It was cheaper to hire for the whole two weeks rather than hire one before and after the cruise. As well as Ensenada Mexico and the Carnival Imagination. We loved this trip! It was a good combination of activities for us and it was nice and easy thanks to nothing being too far or complicated. Southern California is a beautiful part of the world just made for family vacations. We could have easily spent a lot longer and our time in LA especially was far too short. In saying that, we only had two weeks and we wouldn’t change anything about what we did. If you are coming from Australia, like us, it’s a relatively easy destination to get to and be. All in all, we had a fabulous time and continue to love visiting the US. You can also read about our Deep South road trip. California — not that much of a travel for me but I always enjoy reading about your adventures and seeing how much fun your family has. Plus it’s fun to see someone write about places I am familiar with. Great post as always Sharon! Love seeing you enjoy my home! We love the La Brea Tar Pits too, We have been meaning to take the 4 day carnival cruise to catalina and mexico, but still haven’t. Maybe this year. Next time! We have been to San Fran before and loved it. Great post and photos! How did you like your cruise? I’m looking into going with the same cruiseline. Thanks for sharing!